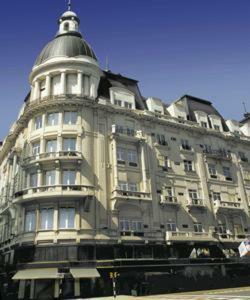 Golden Tulip Savoy Hotel, Buenos Aires discount hotels and accommodation. Hotel Savoy of Buenos Aires was born with the splendor this century, to assure this days the comfort of the next millennium.It´s past traditional history is combined with the new technology equipment´s and quality of it´s service´s, to make; a corporate, social or institutional stay a memorable event.A perfect combination of the traditional and the innovative in its recently refurnished 180 guests rooms and suites. A soundproofing process has provided them complete isolation form outside noise and exceptional air conditioning. View photos, room descriptions and make online reservations at Golden Tulip Savoy Hotel. Save on room prices at Golden Tulip Savoy Hotel, Buenos Aires.